When asked what they find most striking or typical in the military way of doing things, most people I’ve asked readily answer discipline, organization, or rigour. The military has a disciplined way of going about its business, and this is one of the most salient lessons from military wisdom. But what do we mean by “discipline”? In one sense, discipline refers to punishment and correction. This is certainly true; military leaders have a range of disciplinary tools at their disposal to enforce obedience and conformity. On the other hand, discipline also refers to a way of doing things, individually and collectively. The Latin root of “discipline” signifies “learning” and “teaching.” It can also refer to a unified body of knowledge. This is the sense that I think most people are thinking of when they say that the military has a disciplined approach. It also incorporates “organization” and “rigour.” I believe this is also what people have in mind when they say lack discipline or that Olympic athletes have herculean discipline. My first military assignment upon joining the Canadian Army was as an officer-cadet at Collège militaire royal de Saint-Jean. I studied and trained there for five years, after which I was commissioned as an infantry officer. When I arrived on my first day at military college, I was struck by the politeness of the senior cadet leaders. They were calling us Mister or Miss so-and-so. They would politely ask us to “form up” in three ranks, even though most of us had no idea what they were talking about. Then they would politely introduce themselves and address us. They would explain what they wanted us to do and then tell us or show us how to do it. Of course, they were capable of being very direct and forceful if required, but that was always a later resort, after politeness failed to have the desired effect. We were marched around everywhere to get our uniforms and go to classes. It was all quite—that’s right—disciplined, organized, and rigorous. At one point in my military career, after I had been commissioned as an officer and I had gained some practical leadership and command experience, I realized that discipline is in fact mostly voluntary. You can try to impose it from without, but in fact it relies on the intrinsic motivation of people to adhere to a doctrine and ethos and to follow leaders and teachers willingly. The secret to being disciplined is the willingness to learn and relentlessly apply a systematic approach and attitude to thinking and acting. In the military, and in other life-and-death disciplines such as emergency room medicine, first aid, and piloting an aircraft, the key thought processes and techniques of the discipline are reduced to drills and routines. They are applied systematically and relentlessly in analyzing problems and executing actions. No matter what the situation, there is a drill to deal with it. For instance, in the army you learn drills to react to enemy fire, to advance and attack, to withdraw and defend, and many more. The air force and navy have analogous procedures and drills. The important thing is that everyone learns the same approach and it is applied in all situations. This philosophy goes beyond individual and collective action however. Even cognitive processes are instantiated as drills for thinking through and analyzing a situation, coming to a decision, creating a reasonable plan, and then communicating it effectively and efficiently to subordinates and colleagues. When in a pinch and under great stress, such as enemy fire, the main action is to refer to these drills and action lists and implement them. A further characteristic of military discipline is that it is learned and applied at all levels of the organization. The only difference is the extent of detail and comprehensiveness. A general essentially uses the same cognitive and leadership tools as a corporal. This makes communications between levels and branches much simpler and enables professional development to build on previous lessons and experience, without having to inculcate completely new approaches at each level. In essence then, military discipline is based on a rigorous set of drills and procedures, which are applied systematically at all levels and in all areas of endeavour. If there is a need for specialized drills and processes, then these are built on the basis of the common set of techniques. Furthermore, the drills and procedures are iterative, recursive, nested, and modular. This means that you apply them cyclically, over and over again as problems come up or you are given new tasks and missions. You can mix and match them as needed, and they are applied up and down the line. I have written extensively about these types of drills and disciplined approaches in my newsletters and articles over the years.  In fact, if you go through the archive of newsletters on my website, Alcera.ca, you will no doubt find procedures that can be applied in a large number of business and organizational situations. The challenge is to apply them to your reality, and also to work on creating your own disciplined and rigorous approach to thinking, deciding, and acting.